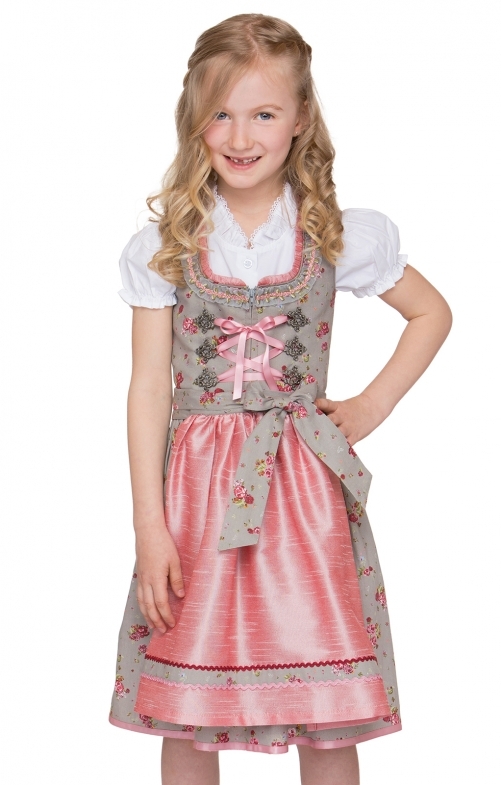 Super noble colour combination with the kid’s dirndl from Stockerpoint. Grey taupe combined with a delicate old pink which in the rose motives and the dirndl apron in game silk optics finely tuned into splendid appearance. Also made dear on the neckline with a small ruffle edging heart. The dirndl is offered in three parts incl. dirndl apron and blouse. Sehr schönes Produkt, kommt für uns aber erst in ein bis zwei Jahren in frage, da es wie ein Dirndl für erwachsene ist. Hautsympatisch und super verarbeitet.